This winter we’ll be talking all things rivery in a series of talks from local experts. 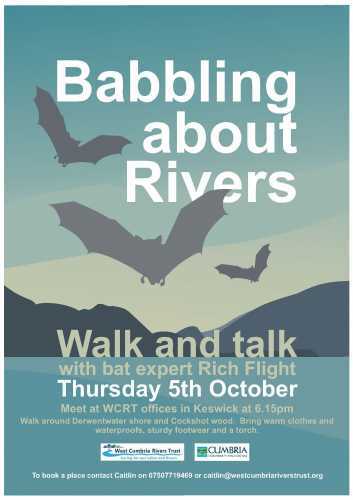 Join us for our first event, a bat walk and talk along the shores of Derwentwater on Thursday 5th October from our offices on Lake Road, Keswick. With thanks to Cumbria Community Foundation for funding these events.